Working with a high volume of chemicals can be difficult on the equipment in your facility, and the machinery may begin to wear down. If you find that your pumps can’t quite handle your corrosive materials, your facility will benefit from incorporating corrosion resistant pump models from Phantom Pumps into your production line. Medicines – Many liquid drugs have the ability to overwork pump systems due to the level of care and control that is required to produce a product that is safe to inject in humans and animals. Acidic Compounds – Acids can wear away at the interior of a chemical pump, which can cause the pump to no longer process fluids correctly. Atomic Fluids – Fluids with a slight radioactive nature may damage your pumps if the material of construction is not a durable metal like titanium. High-Volume Fluids – Pumping a large amount of fluid may cause motors and other pump parts to burn out quickly. Our corrosion resistant pump models also provide you with many benefits that go beyond the typical fluid processing pumps available from other manufacturers. Our corrosion resistant pump models are constructed with sturdy titanium carbide alloys to increase their strength and longevity. Better still, each of our pumps comes with a one-year warranty that protects your investment. Phantom Pump provides you with reliable, high-quality low pressure and high pressure fluid-processing options that will keep your facility running smoothly, no matter which type of fluid is being processed. We carefully design, inspect, and assemble each of our chemical pump models in the United States to guarantee their operational efficiency. 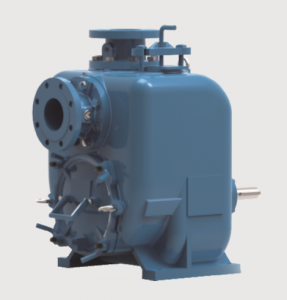 Along with chemical pump, corrosion resistant pump, and other pump models, we also provide interchangeable replacement part options, including strainers, gearboxes, motors, valves, and much more. We even provide cross reference assistance to ensure the products you need will be compatible with the Viking, Warren, or Gorman Rupp equipment that is currently in use at your facility. If any of these corrosion resistant pump benefits peek your interest, contact a friendly Phantom Pumps associate today to learn more about how you can benefit from partnering with us. We proudly serve clients in Texas, Virginia, New Mexico, Michigan, Colorado and beyond, and we are ready to serve you and your facility’s needs.